We all know about the Dhanvantari who had emerged out of the fabled sea-churning of Hindu mythology and who was said to have some essence of Vishnu himself in him. But not many people know about the other birth of his. There goes a Puranic tale regarding this. During the churning, after having emerged out of sea, Dhanvantari requested Lord Vishnu to tell him about his place and role in the world. To which Vishnu responded that the Devas have already received their share of chuning and while you also belong to Devas but there is nothing left for you. However, in your next birth you will attain all the glories that are destined for you. You will be worshipped and will even create the great science of Ayurveda. And your life span will be during Dwitiya Dwapara. Due to this blessing, Dhanvantari eventually born as son of Dhanva in Kashi as he had worshipped Shiva rigorously to get a son. 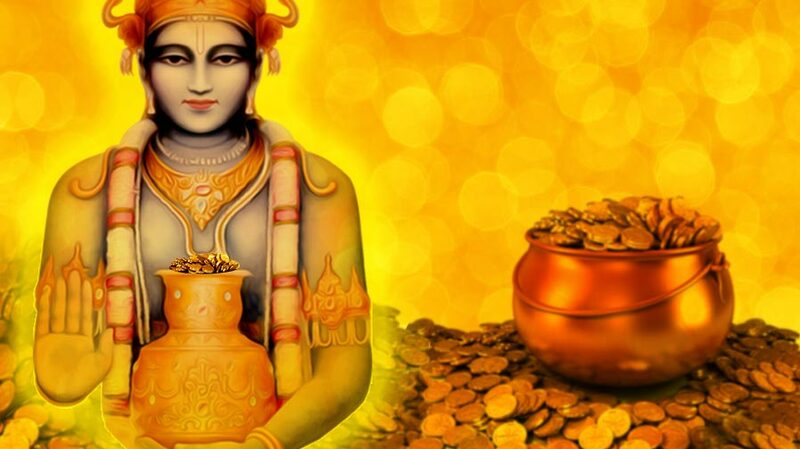 Being the son of Dhanva, he was named Dhanvantari. He went on to study Ayurveda from Bhardwaja and developed the theories of Ashtanga Ayurveda. The reputation of Dhanvantari as a supreme physician is so deep rooted that all Ayurvedic health centers worship him without failing and it is even advised to patients that they must worship Dhanvantari while taking treatments to get cured soon. Sushrut Samhita and Purnas simply refer to them as Dhanvantari the first and Dhanvantari the second. He goes by an another name called Divodasa. His name surfaces in Hariwamsha Purana, Garuda Purana, Vayu Purana and Mahabharata. They all refer to Dhanvantari as the architect of Ayurveda, but somewhere he is mentioned as son of Deerghataya and somewhere else as son of Dhanva. Bhavaprakash claims that Divodasa and Dhanvantari were one and the same. They were born in in a Kshatriya clan of Kashi, ruled the ancient city and was instrumental in flourishing of Ayurveda. Even the Sushrut Samhita has Divodasa as its narrator who introduces himself as Adi Deva Dhanvantari, who appeared on the earth to spread the message of Ayurveda. Re-Birth : How our Karma affects our Reincarnation?